Nestled between San Bruno Mountain State Park and the beautiful natural refuge around San Andreas Lake, the South San Francisco BART caters to commuters and adventure seekers alike. The two rail lines passing through this BART station are: Pittsburg/Bay Point to SFIA/ Millbrae, and the Richmond to Daly City/Millbrae. Riders can easily reach the San Francisco International Airport, the central city destinations, as well as the Palo Alto area. 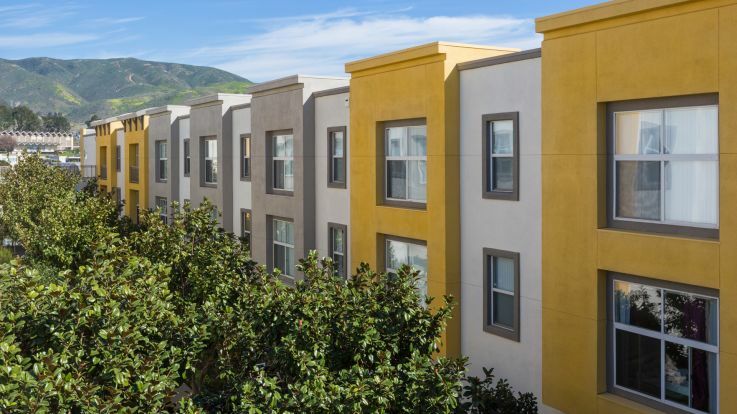 Residents of our apartments near the South San Francisco BART are able to make great use of the city’s comprehensive and reliable public transit system. As with our other communities, we want our residents to explore, travel, and commute with ease. That is, when they’re not enjoying all the top-tier amenities we have to offer on-site. Enjoy browsing through our portfolio of available apartments surrounding the South San Francisco BART and learn more about what makes Equity the very best in urban residential living.